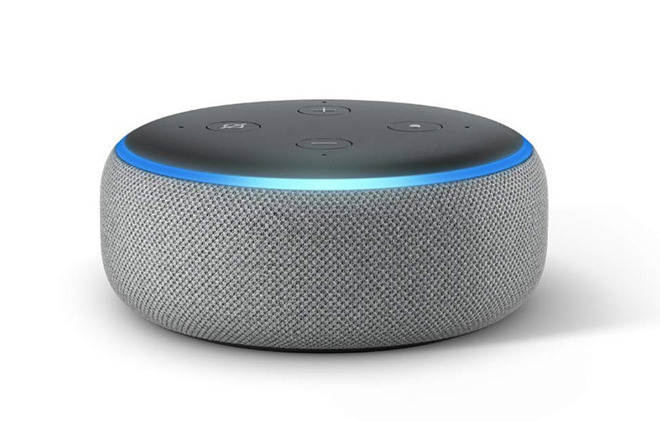 Citing sources familiar with the project, Billboard reports Amazon is angling to make the as-yet-unannounced service available for free on Echo devices as soon as next week. Like competing free-to-listen streaming services from Spotify and Pandora, ads will support Amazon's offering. The company is initially offering to pay certain record labels on a per stream basis, regardless of advertising revenue generated in by the venture, the report said. Beyond expectations that the service will launch on Echo devices with a limited catalog, exact programming details are unknown. Some ad-supported products allow users to search for and stream songs on-demand, while others offer a streaming radio-like experience punctuated by commercial breaks. The service will join Amazon's stable of music streaming products that include the subscription-based Amazon Music Unlimited and Prime Music, a value-added service for Amazon Prime members. If and when the service goes live, Amazon would become the second major music streaming service to offer both free and for-pay tiers, at least for Echo owners. Segment leader Spotify currently markets an ad-supported tier used by more than 100 million users worldwide. News of Amazon's plans arrives about one month after Apple Music surpassed Spotify as America's top subscription music service. In February, Apple Music hit 28 million U.S. subscribers, beating out Spotify's 26 million for the same period. How will Spotify complain about this one? For people who like their music to sound bad and their conversations to be recorded. I presume this is for non-prime folks. I already bop through my daily fitness walks with tunes, stations, provided at no extra charge via Amazon music. Yes, there's a for-pay upgrade option; but, I have plenty to choose from in every category, rock to jazz, chamber music to symphony. Crap! Guess it was only my prev IPhone 7... Just tried my new 10X and get no freebies, so far. This was my first reaction to the headline too. Then I realized this is an effort to sell more Alexa devises, and is rather clever. I'm sort of waiting for Amazon (and other tech companies) to start giving away devices if they sign up for services or buy things. eg buy 10x books, or a years subscription to a book service, get a free nook or kindle. Wonder if cable companies will do this too. Get a new HDTV if you buy a year's worth of cable. (forehead smack!) I had logged into Amazon music with MY login. Prime music gets freebie only for the account holder. In this case, my wife. New login solved that problem. Plus - in the interim - I used iOS built-in music app on my first walk of the day and the reach was just fine. Wifi to XR even 10th/mile away down over the brow of the hill in our back meadow. In America, Amazon Music listens to you!